The Adtoken Coin is the crypto currency of the AdChain project. This project consists of a series of interoperable open protocols based on the public Ethereum blockchain. The project is of particular importance for the digital advertising industry, which weighs around US$ 175 billion. The first protocol in development is the adChain Registry. It is a public decentralized whitelist of online publisher websites that aim to help the advertising industry eliminate a fraud problem that costs more than $16 billion annually. 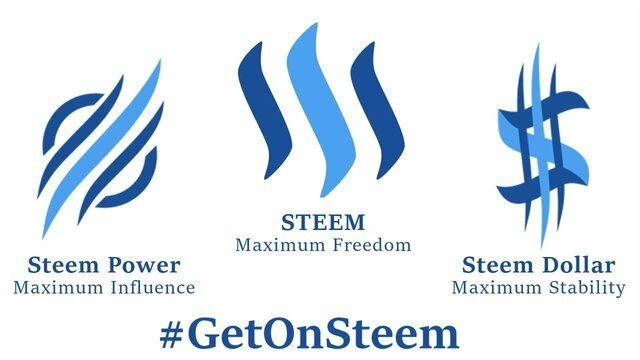 In this case, decentralised means that no single company or person has control over the whitelist. What are the company’s goals behind adToken Coin? Fraud on such a scale is made possible by the lack of transparency in the digital advertising supply chain. Advertisers often don’t know for sure whether the ad on a website they want to buy is really that valuable. The value of a website is also measured by the number of daily clicks, i. e. the number of visitors. More and more often, these numbers of visitors are driven up artificially by programmed bots. For the outsider, the bots are almost indistinguishable from real visitors. The adChain Registry does not solve this problem of fraud directly, but it does provide the advertising industry with a platform through which it is possible to jointly define which pages are fraudulent and where the limit is to be drawn for questionable clicks. It is in the interest of all participants to screen out fraudulent applicants in order not to reduce the value of the adToken coin. The company’s market capital is US$ 21 million and its daily trading volume is US$ 200k. Of the total of 1,000,000,000,000 Adtoken Coins generated, 600,000,000 are in circulation. This puts it in 147th place in coinmarketcap. com’s token ranking. Who is behind the adToken Coin project? 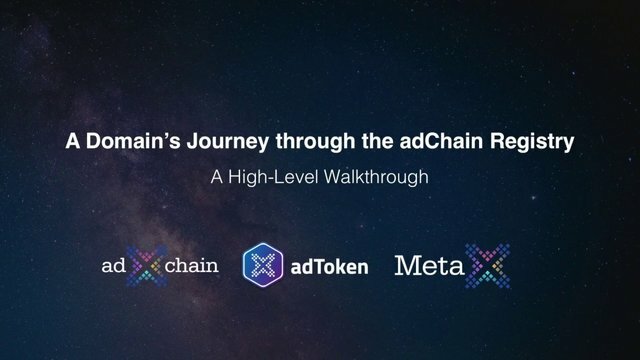 adToken itself is a combination of different groups and companies, including ConsenSys, MetaX, the Data & Marketing Association (DMA) and the adChain Association. The DMA does not take care of the technical aspects of the project, but its support increases confidence and strengthens the reputation of the project. The technical team consists mainly of Mike Goldin and Miguel Morales. Goldin is the founder of ConsenSys. He has already had great success with the smart contract project Ujo Music. Miguel Morales works at MetaX and has worked with two other software-focused companies in the past. Shailin Dhar and Raleigh Harbour are active in consulting roles, both of which have a great deal of experience in the digital advertising world. What is planned for the future of the adToken Coin? AdChain starts as a registry of renowned publishers, but much more is planned for the future. As an open protocol based on the Ethereum blockchain, it allows developers from all over the world to create dApps that provide key functionality and increase usability. This will provide many opportunities in the digital world for advertisers and publishers to coordinate advertising campaigns with each other through a range of customizable dApps. Some examples of possible dApps that are to be built on adChain are Bot Recognition dApps. These could distinguish exactly between generated clicks of bots and real visitors of a page. dApps for the reputation score, for the data management platform and even intelligent ad blocker dApps would also be conceivable. Part of the Adtoken Coins are set aside as part of a bounty program to reward dApp developers for their contributions to the adChain protocols and application development. Hearing about AdToken ADT might not strike your attention at once, and there is probably a good reason for that since ADT is being traded as one of the bottom top 300 coins, currently, beings ranked as the 279th best coin in accordance with the official ranking list. However, as of the most recent events, ADT has been spotted seriously spiking up while rising both against fiat and BTC and ETH alongside. With the most recent increase in its trading volumes, AdToken has gained over 300% of rises while going off the radar, that way becoming the top trading AdToken of the day, if not beyond judging by its latest spiking against both, fiat and top two cryptos. AdToken Spiking Up: Is it Pump and Dump? 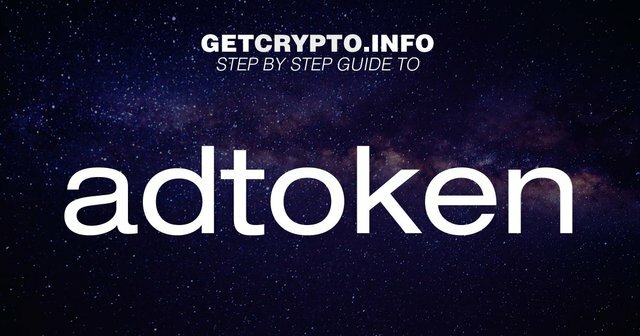 AdToken isn’t one of the most popular coins to trade, especially if it is to judge by the media coverage this currency is getting, and that is little to no media coverage. This is the case because ADT is not even in the top 100 cryptos, or is it offering a groundbreaking blockchain technology that no one has seen before, as often presented by newly arriving ICOs, like Zilliqa for example that brought the term of sharding into the industry of blockchain and crypto technology. This is the exact thing that makes the most recent gains of this asset a bit suspicious. ADT has shown an amazing case of going up against the dollar, BTC, and ETH in the last 24 hours by going from 144% and 130% against ETH and BTC to over 137% against the dollar. Usually, when a certain asset is experiencing such high volumes of rises in price, there is usually a good reason for that. Prices can easily go up and down for more than several reasons, including highly benevolent currents in the market, or the rough ones that carry market dips. Prices can also go up due to FOMO and FUD, and more often great news about new listings, partnerships, and integrations. However, there may be artificial manipulations included in the sudden rise of some currencies, especially when the trading volumes seem too good to be true. If you take a look at previous threads related to ADT spiking up, like bitcointalk or similar, you will see that ADT already showed extraordinarily high levels of rises in the course of a short period of time during July of the year 2017. Precisely because of this case, it is presumed that ADT is being pumped by multiple holders by using the technique pump and dump. However, what seems to be an odd case within the presumption of having a pump and dump scheme in progress with AdToken is the fact that ADT has been showing signs of massive rises against the dollar for a prolonged time now. That is how you can easily see that ADT has gone up by 160% in the course of the last 3o days, while also going up by 110% in the last 14 days. ADT even went up by 150% during the last week, while only showing negative results within its drop since AdToken has set its all-time high. Even in this data, you can easily see that ADT lost 84% since its all-time high, while most of the digital assets, especially the toppers, have seen decreases over 90% and counting since reaching their record prices. That being said, it is pretty hard to tell if the fate of AdToken’s price is being undertaken by a pump and dump action. So, there might not be a pump, since there is no dump unless one is cooking up slowly for the time to come. From a different point of views, it might also be hard to imagine an organized pump and dump that could go on for over a month. ADT is actually existed on Ethereum blockchain, being required to use adChain, which represents a smart contract on Ethereum platform. This token is trying to solve the main problem that often appears in advertising, as ad business often comes with fraudulent activities, having fraudulent and deceiving ads taking billions of dollars in market cap from trusted advertising services that way. AdToken is thus used for challenging different entries within adChain, while also being utilized for deposits and voting, that way contributing to the Ethereum chain in order to remove fraudulent advertising from the network by voting them out. The increased utilization of AdToken (ADT) units that are being used for cleaning up the platform for misleading, fraudulent ads might most possibly be the main reason why ADT is spiking up over 110% in the last 30 days. I am glad you visited my post. 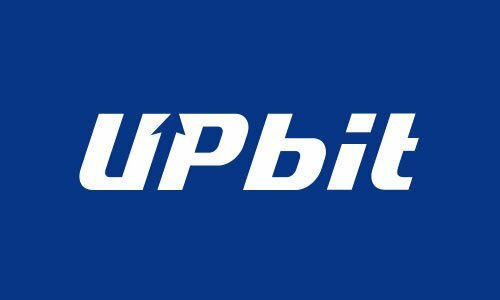 I just give you an introduction and information on coins. I hope that the information you provided will be helpful. I hope to be good information. So..... should I get some of them? I am so newbie, and I heard that a lot of scam coins. Thanks!! But could you let me know where I can find the information that you said you gave? Just search for adtoken on google. You can search many posts and articles. The most information is at Reddit (Join) - https://www.reddit.com/r/adChain/. It is difficult to distinguish good thing from bad thing. But if you more good coin find it, it will be happier. You got a 3.57% upvote from @emperorofnaps courtesy of @bitcoindollar! Congratulations @bitcoindollar! You received a personal award!